B vitamins are necessary for growth, development, enzyme activity, red blood cell formation, energy production, and proper brain function. The term B complex encompasses eight chemically related essential vitamins that work together to boost both our mood and our energy. Often found in the same foods, these required water soluble vitamins are not stored in our bodies and need to be replenished daily for optimal health. What are these important vitamins and what role do they play in the health and function of our bodies? Vitamin B1 or Thiamine – B1 is involved in metabolism and conversion of carbohydrates into energy, assuring smooth functioning of the body’s organs especially the heart, brain, lungs and kidneys. Vitamin B1 helps reduce stress, strengthens the nervous system and is responsible for the production of neurotransmitters that relay messages to the muscles and nerves. Sources of B1 include whole grains, pork, organ meats and kidney beans. Vitamin B2 or Riboflavin – Vitamin B2 helps breakdown carbohydrates, fats and proteins for energy production. B2 is necessary for the production of red blood cells and antibodies. B2 helps protect the nervous system and strengthens the immune system. Sources of B2 include whole grains, dairy products, almonds, eggs and leafy green vegetables. Vitamin B3 or Niacin – This powerful vitamin is needed for proper circulation, healthy skin, and nervous system function. B3 plays an important role in energy production and supports a well-functioning digestive system. Niacin is believed to be helpful in reducing bad cholesterol and plays a significant role in heart health. Sources of B3 include fish, chicken, nuts and beans. Vitamin B5 or Pantothenic Acid – Sometimes referred to as the “anti-stress vitamin,” B5 plays an important role in the production of adrenal hormones and is considered a vital body chemical involved in many metabolic functions and the production of neurotransmitters. B5 also aids in energy production, the formation of antibodies, and supports hair, skin and immune health. Sources of B5 include a wide variety of plant and animal foods including meats, vegetables, whole grains, dairy, fish, nuts and seeds. Vitamin B6 or Pyridoxine – B6 is essential for both physical and mental wellbeing. It is required for normal brain function, health of the nervous system, and cellular growth. It aids in immune system function, the production of red blood cells and the breakdown and digestion of proteins. Sources of B6 include poultry, soy, avocados, whole grains, seafood and bananas. Vitamin B7 or Biotin – B7 aids in the formation of new skin and hair cells, fatty acid production, metabolism of proteins, fats, and carbohydrates and in the utilization of all other B complex vitamins. Biotin promotes healthy nerve tissue and bone marrow and strengthens connective tissues. Sources of B7 include meats, vegetables, salmon, eggs dairy, sweet potatoes and whole grains. Vitamin B9 or Folic Acid – Folic acid is necessary for healthy cell division and replication. It functions as a co-enzyme in DNA and RNA synthesis. B9 is involved in protein metabolism, the formation of red blood cells, energy production and brain, heart, circulatory, and immune health. B9 is found in green vegetables, lentils, beans and fortified grains. Vitamin B12 or Cobalamin – B12 is involved in growth and protection of the nervous system and is the most chemically complex of all the vitamins. It plays an important role in protein synthesis necessary for cardiac function, aids folic acid in the production of red blood cells, and helps in the utilization of iron. B12 is necessary for healthy digestion and absorption of nutrients and aids in cell formation and cell longevity. Sources include eggs, meats, poultry, shellfish and dairy products. Because B vitamins work together, a deficiency in one often indicates a deficiency in another. This can lead to poor functioning of any or all the B vitamins. So, why do we need these B vitamins? As it turns out for many, many beneficial reasons, including energy production, a healthy nervous system, good digestion, healthy hair, skin and nails, proper cardiac function, immune system health and normal growth and development to name just a few. 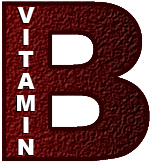 In general, it is best to supplement with a B Complex formula to ensure that you get all of the essential B vitamins daily. B-Complex #6 by Thorne Research – An optimal balance of bioactive B vitamins with extra B6. Contains all 8 essential B vitamins. Ultra B Complex by BioGenesis Nutraceuticals – A complete B vitamin complex containing biologically active B vitamins for increased bioavailability for super absorption and enhanced utilization. Ortho B Complex by Ortho Molecular – A complete vitamin B complex in a once daily natural vegetarian capsule.